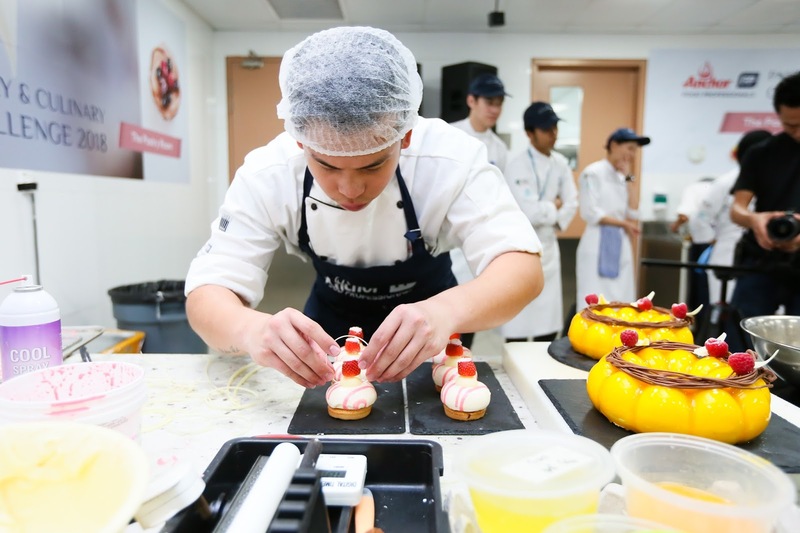 Shaping Malaysia's future master chefs, Anchor Food Professionals has returned for another round of doing their bid to raise the benchmark in the industry by hosting the highly anticipated Anchor Food Professionals Pastry & Culinary Challenge in 2018. Trust me, it was such a sight to see 8 contestants trying to compete for their way to be the top of them all. The challenge is a four-day competition starting 13 until 16 March, and coincidently I was present for Cake Challenge on the second day to witness the judging session. 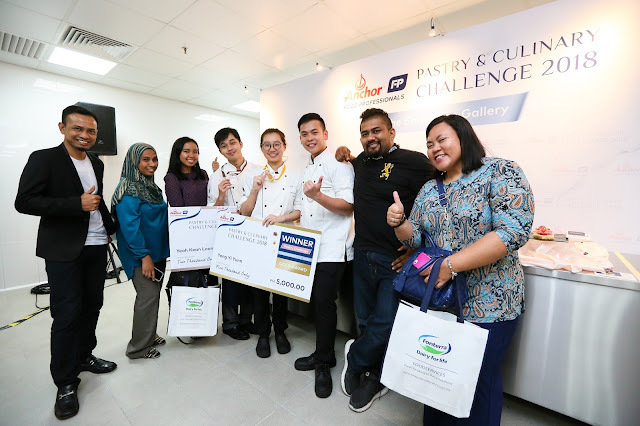 Present during the second day of the competition was the 8 finalist in the best cake category who were invited by Anchor Food Professionals to take on the challenge of being the master chefs of Malaysia according to their respective categories. 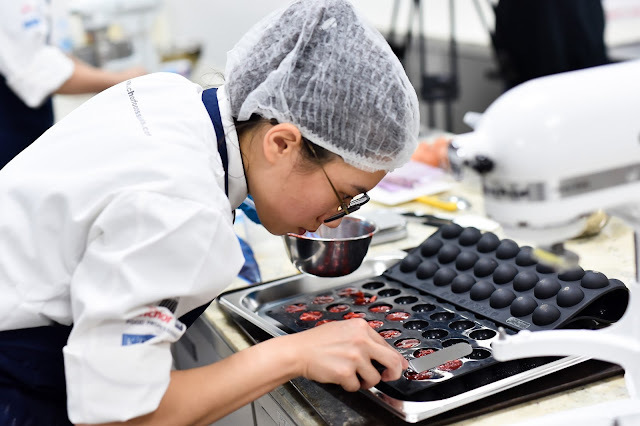 I could tell that the contestants were really nervous the minute they saw the Chef Kean Francois Arnaud, a French master pastry chef, Chef Arthur Heng, a chef consultant and Chef Nazeri Osmail, a YTL Group Executive Pastry Chef who were the panel of judges for the day. In the cake category, the contestants were required to create two types of cakes, with Mango and Strawberry as the chosen themes. Being given the chance to witness all the end-results of the contestants were mindblowing honestly. Each contestant really made an effort to add their personal touches to their design, and there is no doubt that surely the taste is as good as how it looks. Each of them was given 5 hours to prepare 2 cakes, and after the 5 hours was over, it was time for judging time! 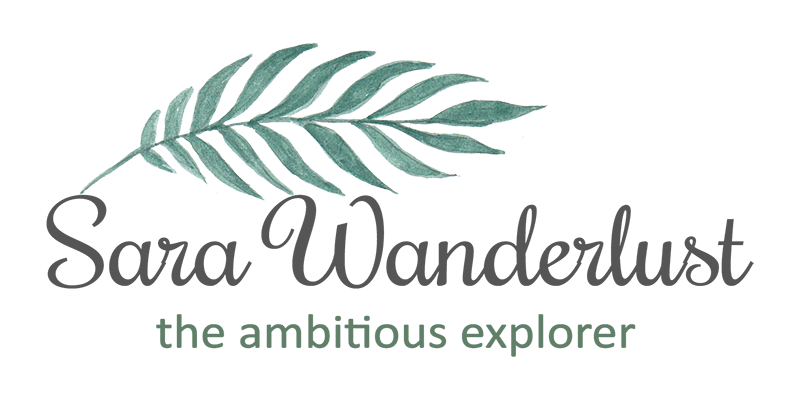 Overall, there are 25 finalists competing in this challenge in all three categories separately, chasing for the first prize for each category, winning prizes worth RM5,000, a medal and a certificate. The second prize includes prizes worth RM3,000, a medal and a certificate and the third place include prizes worth RM2,000, a medal and certificate. The contestants really did a good job in making full use of Anchor's leading products in the dairy segment namely Anchor Cream Cheese, Anchor Butter Sheet, Anchor Butter, Anchor UHT Milk, Anchor Whipping Cream, and Anchor Yield Cooking Cream. Once the judges were all settled with the final decisions, the contestants were all looking anxious as they wonder who will be the best of them all? The results were very close but the winner is announced as below, followed by a picture of their masterpieces. Yeoh Kean Loon shared that it was tiring time to prepare 2 seperate pastried within a time frame of 5 hours. 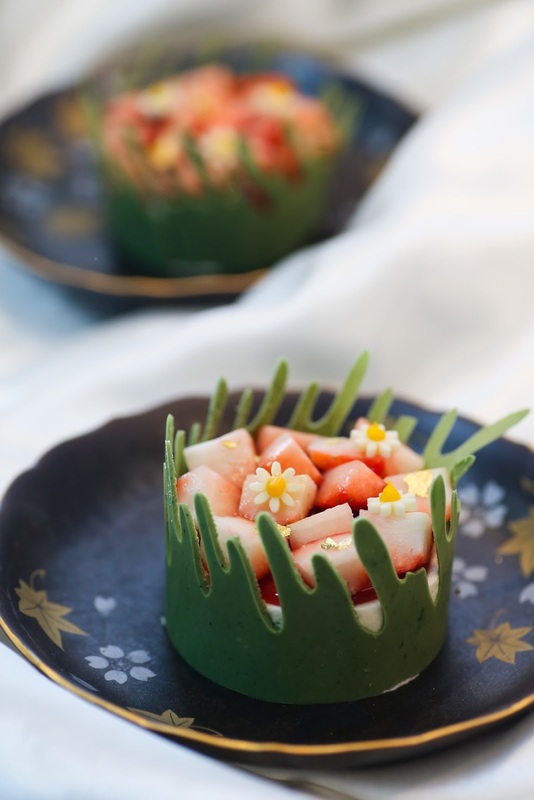 His conceptual art in pastries started when he was in his twenties when he started working in the industry where he beleive that pastry's doesnt have to be inspired only by fruits, but also western, chinese, japanese and more! 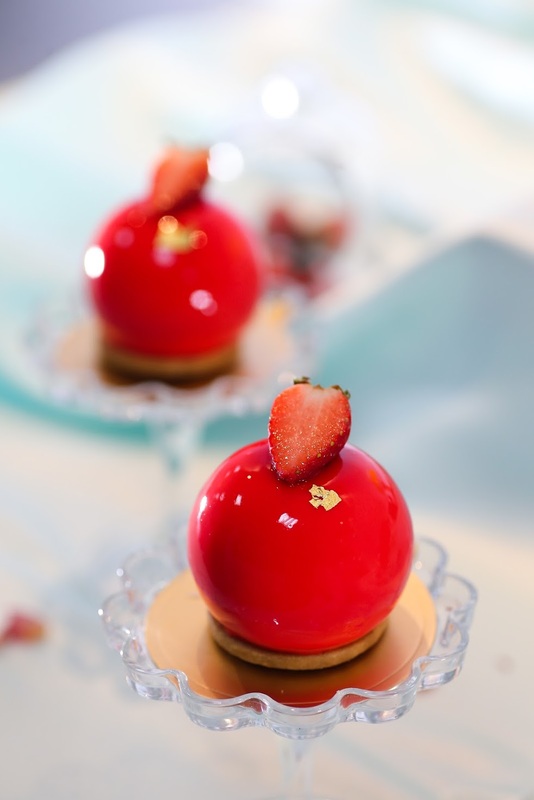 Yeoh also sait that his idea to pastries are always emphasized on creative taste that combines. Loh Qi Yuan started his experiences through western cooking, and eventually it lead him to prepare pastries. Just out of curiosity, he decided to register into a pastry course and mentioned innocently that he didn't like it as much in the beginning but slowly learned to love it when he learned more new things. Loh Qi Yuan likes to make new things and always takes up the challenge to challenge himself. Yong Yi Yunn, the grand winner! Yong Yi Yunn managed to grab the judges hearts the most as her presentation. She started doing pastry in her studying days and somewhat had a flair for baking. From that moment, she knew that she had a passion for baking which was also recognized by her head chefs that she was assistants for competitors in competitions in 2015. Ever since she just enjoyed baking in general that it becomes a poetry of its own in her presentation. Mandatory group photo with the winners!